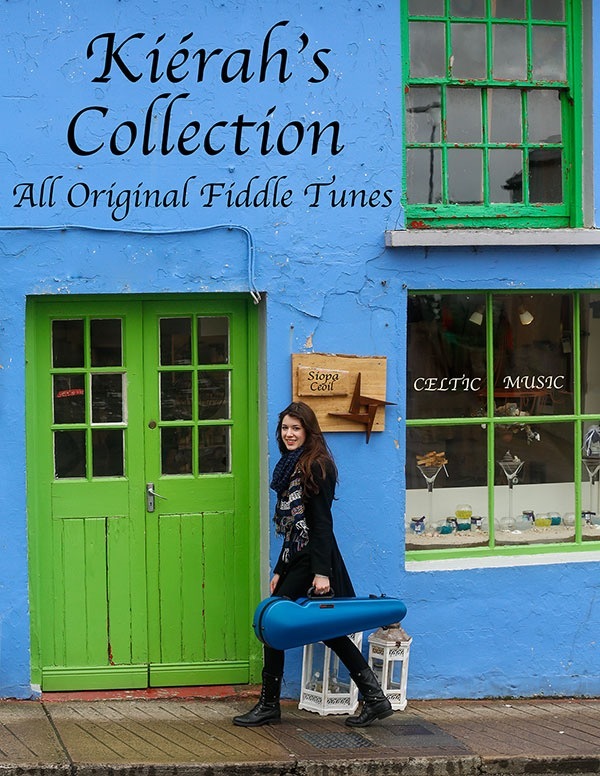 “Kiérah’s Collection” is a compilation of 66 waltzes, airs, strathspeys, jigs, and reels which were inspired by her love of traditional music from Ireland, Scotland and Cape Breton. Kiérah’s book contains her original music found on all four of her albums for all levels of playing. Her music demonstrates her unique style of composition which has provided Canada with new tunes, adding to the development of Celtic music across the country. “Kiérah’s Collection” has sturdy front and back covers, is printed on premium paper and is coil bound in order to lay flat for easy reading. All tunes include the chords for accompaniment.